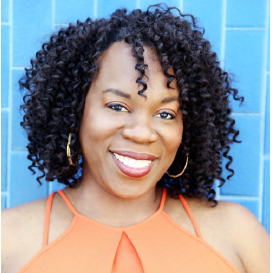 Morenike Joela is a Director, Writer and Producer who is passionate about creating compelling, provoking and dynamic programming for television, the web and film with women of color at the forefront. Her impressive career in unscripted TV, where she started as an Associate Producer for BET’s Rap City, includes her producing for major networks such as MTV, OWN, PBS, E!, TNT, BET, NBC and TV One. Outstanding Director nomination for LA WebFest 2017 and won the Jury award at the 2017 Diversity En Cannes Short Film Showcase. Morenike returned to GOD COMPLX in 2018 as Co-Executive Producer/Showrunner. shaping the new season’s storylines, running the writing room, managing the creative production and a slate of 4 additional directors while also directing 2 episodes herself. She is currently developing her original TV pilot, “F.A.B.” which was selected as one of ten projects nationwide to be a part of the 2018 PGA Power of Diversity Master Workshops. Originally from DC, Morenike Joela started as a journalist freelancing for the Washington Post after a successful internship there as a general assignment reporter. She’s a proud Prairie View A&M graduate and a member of Delta Sigma Theta Sorority, Inc. If she wasn’t working as a triple threat in the entertainment industry, she’d be Janet Jackson’s back up dancer, a detective, or an archeologist--in that order.